Pneumatic Conveyors, Aeration Conveyor Latest Price, Online, Manufacturers, Suppliers, Wholesalers, Dealers & Distributors in India. 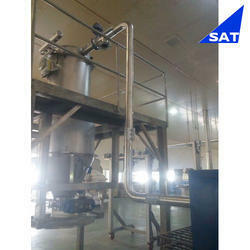 We are offering Lean Phase Pressure Conveying System to our clients. - Dust free transfer in an enclosed environment. Application: Water, Butter Milk, Milk, Dhee, Oil, Etc…. In order to comprehend and meet the diverse requirements of esteemed clients, we are able to offer Pneumatic Lift Conveyors. The offered range of pneumatic lift conveyors is made utilizing high grade raw material and innovative techniques in complete adherence with the international quality norms and standards. 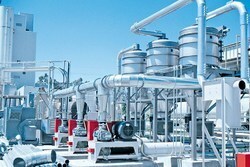 Pneumatic conveying is the transport of bulk solids through a pipe by using the flow of air or other gas. ... Pneumatic transportation can be built as a pressure or vacuum system. Pneumatic Transporter is a true dense-phase pneumatic conveying system which, by virtue of its unique design, can transport sand or other bulk free flowing materials in a dense mass at low velocity, without the aid of boosters. A major part of the design of any pneumatic transporter is the vessel sealing mechanism.